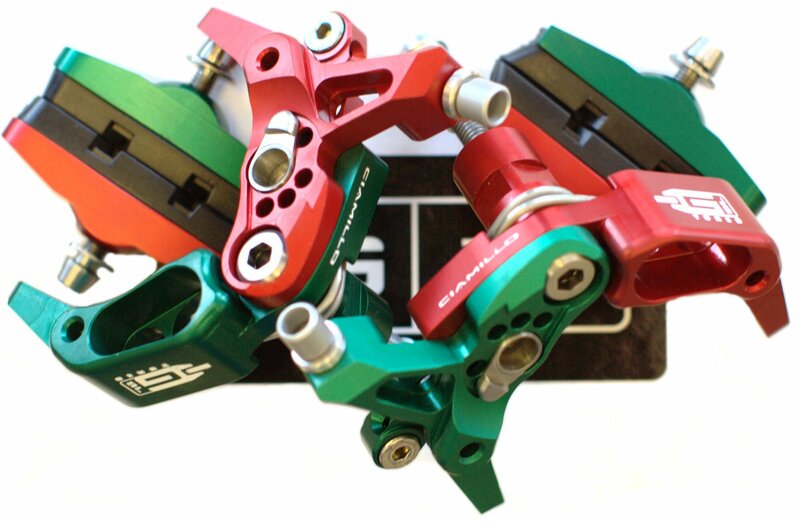 Ciamillo has been bringing lightweight boutique style brakes to the market for several years now. Most recently they have pushed the envelope further with the Gravitas and GSL calipers. The Negative G GSL caliper turned out to be perfect for this build. Skeltonized and streamlined for the maximum weight savings without compromising stiffness. 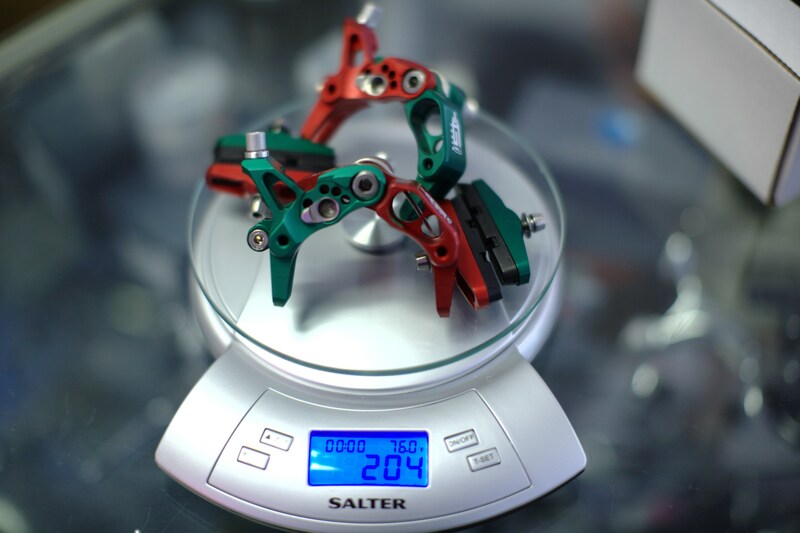 So what sets them apart from M5, KCNC, TRP, and other brakes in its class? One word. Custom! With its narrow design the GSL will also work with the time-trial/triathalon frames which mount the brake on the bottom bracket. Also worth noting is the new design, 2009 and newer, also works with the wider Zipp and Hed rims which tend to rub with some brakes.